Wisdom of Life. : Life insurance is a love product. To me the best product to sell is life insurance. Our product will never run out of stock, it can be sold at anytime, at any places and to anyone from an infant onwards. As long as life is uncertain on earth, life insurance will be needed. The minute a baby starts to cry on birth, he could be identified as our prospective client and their parents normally would be too eager to effect an educational plan. As long as you love someone life insurance could be sold. 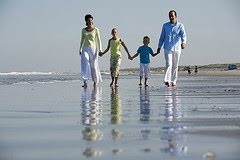 The parents could insure the child, and similarly the children could purchase medical plan for the aging parents. The husband loves the wife by insuring himself, and entrusting the entire program for the family. Or loving the wife by creating a plan for her as a protection. Having a life insurance in hand allows a peace of mind, especially for the breadwinner. Life insurance is a love product, which allows one to show how much one cares for others. Love is to be responsible, to be concerned, to give unconditionally and to give willingly. Love could not be seen, but definitely could be felt. And life insurance is an intangible item, which could not be seen as well. It is just a promise to take care of you and your loved one. Love is energy that could melt hearts, love has got inner force which makes everything possible and without love our world might not be at peace. Thanks God! With the creation of life insurance, love could be endorsed to make our land a better place to reside. If you are a wife who is reading my blog, check with your man to see whether he has effected a life insurance on himself, and nominated you as the beneficiary. If not, it tells how much he really cares and has concern for you and the family. If you are a man and has no life insurance, it looks like love is not important to you. High time you should seek a professional agent who might change your way of thinking. My belief; successful men always plan ahead and they do carry life insurance for the sake of loving another person. Remember this - "Fun is like life insurance; the older you get, the more it costs" - Kin Hubbard.